Mormon Stories is honored to host a private screening of the award-winning documentary Church and State. This screening will be held on Wednesday, July 18th, 2018 at 7:00 pm at the Broadway Theater in Salt Lake. This movie is the improbable story of a brash, inexperienced gay activist and a tiny Salt Lake City law firm that joined forces to topple Utah’s gay marriage ban. 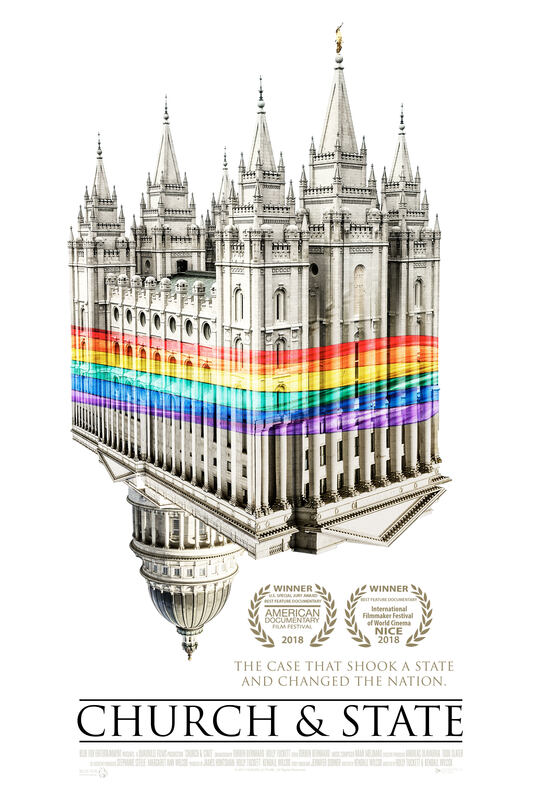 The film’s ride on the bumpy road to equality in Utah offers a glimpse at the Mormon church’s influence in state politics and the squabbles inside the gay community that nearly derailed a chance to make history. Church & State is a story of triumph, setback and a little-known lawsuit that should have failed, but instead paved the way for a U.S. Supreme Court decision that legalized gay unions nationwide. To reserve your seat, please click here to purchase tickets. The screening will begin promptly at 7:00 pm. There will be a Q&A with key contributors from this documentary following the show. To view the trailer click here.